Welcome to List Service, my new column in which I pick a topic, create a countdown, and explore each entry in a bit of detail. This has been in the works for a while, intended to be a new weekly column here on the site, and since this topic turned out to be very timely this week, I figured there was no time like the present to get started. Read on, and let me know what you think of the format, as well as what you’d like to see in future columns, in the comments below. If you care about film and collect physical media, chances are you have at least a shelf or two devoted to the Criterion Collection, the best distributor of classic and foreign films in North America, and the bedrock of many a cinephile’s home video collection. I certainly have a lot of love for the company – four shelves going on five so far, if you were wondering – and these days, the vast majority of DVDs or Blu-rays I buy tend to be from Criterion. It’s not just that they’ve released definitive editions of many of my favorite films, but that I am constantly being introduced to new, wonderful works from around the world via the collection. They are an absolutely essential resource, and today, I’d like to take a little bit of time to celebrate my favorite releases the company has thus far created. Now is the right time to think about this, after all, as Barnes and Noble is having their bi-annual 50% off sale on all Criterion DVDs and Blu-rays. This is the time of the year I always play catch-up, buying older and more recent titles alike, and if you have yet to dip your toes into the Collection, now is the time to do so. The 10 titles I have selected below are the ones I would most wholeheartedly recommend, the 10 I treasure most within my own collection. It’s a list that, I should note, is constantly changing for me, not only as new titles come out, but as I purchase and watch releases in my backlog. And there are at least two Criterion titles coming out later this year – Terence Malik’s The New World later this month, and Krzysztof Kieslowski’s Dekalog in September – that I would expect might find room on my list if I rewrote it in six months’ time. As always with these lists, for the sake of variety, I have only one chosen one entry per director. It means there were some very tough cuts here, as I tend to collect all the Criterion editions for my favorite filmmakers, but to better represent the breadth and depth of the collection, I thought this was bet. Also note that this is not a ranking of the quality of the films, necessarily, nor even of my personal preference for them. This is instead a selection of my personal Top 10 favorite ‘releases,’ based on how impressive and essential I find them to be within my own personal collection. There aren’t many movies more purely entertaining than A Hard Day’s Night, a veritable explosion of youthful energy, boundless enthusiasm, and now-classic music that is all somehow miraculously contained in one 90-minute movie. When Criterion got their hands on it, they embraced that sense of energy wholeheartedly, creating a giant package (literally – it’s bigger than several multi-film box sets) that is stylish, silly, and intoxicating, overflowing with extras on-disc and off, with the film itself looking and sounding better than it ever has before. 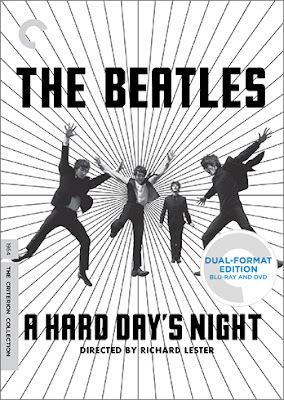 Criterion releases a few big-tent classics like this every year – just this week we’re getting Stanley Kubrick’s Dr. Strangelove – and while they always seem to have a blast putting those packages together, for my money, they’ve never done it better than A Hard Day’s Night. One of the great gaps in the Criterion Collection so far is the relative lack of Hong Kong director Wong Kar-wai, a Criterion director if ever there was one, and who sadly has only two films in the collection (the other being the tragically out-of-print Chungking Express, a gorgeous Blu-ray I got to see in college, and have not been able to get my hands on since). 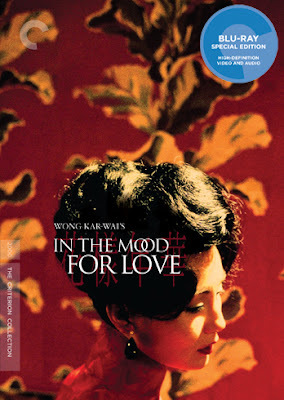 If this edition of In the Mood for Love is any indication, Criterion could and would do tremendous work by the director’s entire catalogue, as non-Criterion editions of his films are severely lacking in quality, content, and availability, something this edition thankfully has in spades. I first experienced the film on Criterion’s initial DVD, and now own the Blu-ray, and in both cases, I’d call this release the go-to arthouse demo disc available in the United States, the hauntingly evocative lighting and hues of Christopher Doyle’s jaw-dropping cinematography making for one of the most powerful visual experiences available anywhere on home video. Combine that with a seemingly endless list of extras and one of my favorite accompanying booklets – this one not only includes a great essay, but the entire short story that inspired the film – and you have a perfect release of one of the 21st century’s greatest masterworks. 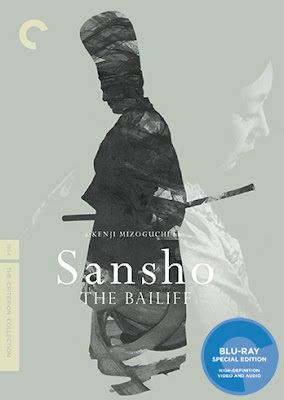 I will never forget the feeling of watching Sansho the Bailiff in my first ever film class, Freshman year of college, and more or less completely losing it at the last scene, waiting until everybody else had left the lecture hall before I felt comfortable showing my face. Mizoguchi made many great and significant films – many of them represented within the Criterion Collection – but for me, none of them hit quite as hard as Sansho, a film that brutally, unflinchingly explores the fundamental question of why and how human beings push forward when surrounded by tragedy and loss. This film hits about as hard as a film possibly can, and it’s absolutely one of the best films within the collection. While that college screening was, I believe, Criterion’s original DVD, the subsequent Blu-ray re-release was one of the first Criterion packages I ever owned, and while it’s not particularly heavy on extras, the visual presentation is so good, and the included book is such an essential companion to the film, that it’s always been one of my favorite releases. First things first – Godzilla has the best packaging Criterion has ever put together for any release, and I will fight anyone who argues otherwise. That gorgeous, evocative cover design is probably my favorite for any Criterion release, and when you open the inner slipcase up to reveal an equally striking pop-up Godzilla, his head towering above the disc and packaging itself, the release cements its position as the most audacious, surprising, and altogether beautiful physical release the company has ever crafted, a lovely little piece of pop-artwork in and of itself. Frankly, the packaging alone would be enough to put Godzilla on this list, but it demands a position here for being the definitive presentation of a true, underappreciated cinematic masterpiece. It’s easy for the public at large to dismiss the Godzilla films as silly monster movies, and while many of them are (and while there’s absolutely nothing wrong with that), this original film is something more, a special piece of cinematic history virtually without analogue, in which a nation torn asunder by one of history’s deadliest acts of war channeled that horror and grief into a strikingly powerful sci-fi genre narrative. Godzilla is truly terrifying in this film, the suit effects and outstanding black-and-white photography making for a truly original nightmare vision, and the human drama only strikes harder with each successive viewing. 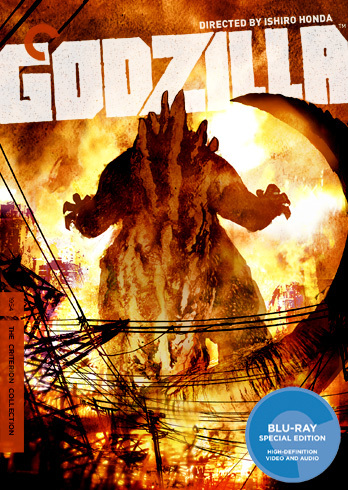 Criterion went all-out on this edition, beautifully restoring the feature and accompanying it with an exhaustive slate of extras, making it clear that Godzilla is no novelty item within the collection, but one of the best and most important films to exist within its reach. 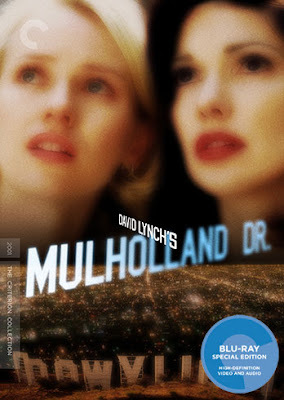 Although perennially in contention for the title of ‘Best 21st Century Film Thus Far,’ David Lynch’s glorious, hypnotic fever dream Mulholland Dr. spent an awfully long time languishing on home video with a merely competent DVD release, one that in no way serviced the film the way it deserved to be seen and enjoyed. Now that Lynch and Criterion are happily working together – see also the company’s outstanding presentation of Eraserhead – we finally have the definitive presentation of what stands (at this moment at least) as my favorite film by one of my favorite American directors. The high-definition restoration is a revelation in and of itself, but couple that with terrific packaging and a wonderful slate of interviews with Lynch and company, this is about as good as it gets. Now if we can only start getting some other Lynch titles in the collection that have largely been ignored on home video – The Straight Story, please and thank you – that would be absolutely fantastic. It would be easy to save a spot on any Criterion Top 10 list for Krzysztof Kieslowski’s Three Colors Trilogy box-set, which is indeed one of the most impressive and essential products Criterion has ever released. But if I’m sticking to my one-release-per-director rule, I have to follow my heart and pick The Double Life of Veronique, which is not only my favorite of the great Kieslowski’s works, but one of my all-time favorite films, period. This is my favorite film I was directly exposed to in four years of college, a hauntingly gorgeous, utterly unique evocation of the metaphysical in the everyday, and one of those films that transforms into something else every time I revisit it. Thematically and artistically, this is one of the most ambitious and accomplished films ever made, and Criterion did absolutely right by it on Blu-ray, with a jaw-dropping restoration and transfer and perhaps the most powerful lossless soundtrack I’ve yet heard on a Criterion release. 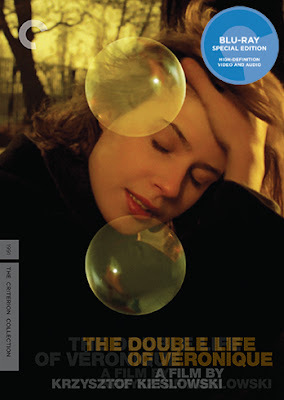 Couple that with a typically exhaustive slate of extras – including another of my favorite Criterion booklets – and this was a terrific beginning to Criterion’s slow but steady march towards welcoming Kieslowski’s singular filmography into the collection, a journey that culminates this September in The Dekalog. 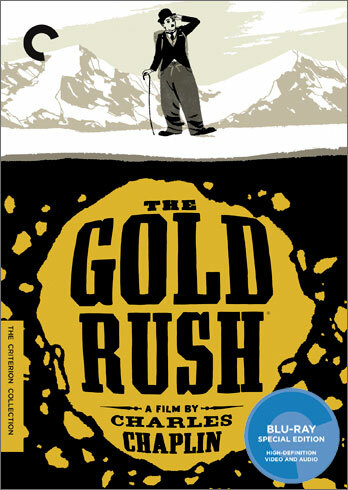 The Gold Rush is not my favorite Charlie Chaplin film – that would be City Lights – but it’s a close second, and moreover, Criterion did something pretty darn heroic in piecing together and presenting the nearly-lost original (and superior) 1925 silent version of the film, alongside the 1942 ‘sound’ edit preferred by Chaplin himself. Getting to see the film in its original incarnation, with a newly-recorded adaptation of Chaplin’s wonderful 1942 score accompanying it, is a true revelation, one of those magical pieces of film preservation that makes a company like Criterion so essential in the home video space. The presence of both versions, along with a terrific set of extras – I particularly love the attention paid to Chaplin’s work as a composer – makes this as definitive a presentation of a film as Criterion has ever put together, a case in which the absence of this release would make appreciating the film’s legacy exponentially harder. It is one of the great pleasures of the Criterion Collection not just to discover new films, but to have your faith renewed or reaffirmed in existing favorites – to have a beloved but perhaps underappreciated gem given the love and care it deserves, released in a definitive version and preserved in a way that enhances one’s love for the film. 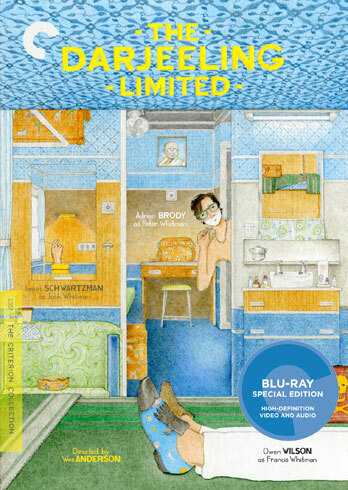 For me, The Darjeeling Limited is absolutely one of those packages. It is my favorite film by my favorite contemporary American director, a movie I fell head over heels in love with upon first seeing it in 2007, and one which speaks to me in new and different ways every time I return to it. And returning to it has been a much more pleasurable experience ever since Criterion brought the film inside the collection (as it does with all of Wes Anderson’s wonderful work), creating an impeccable high-definition transfer and immersive lossless sound mix not only for the film itself, but for the equally essential accompanying short film Hotel Chevalier. The extras are superb, including an invigorating video essay by Matt Zoller Seitz and a beautiful illustrated leaflet by Eric Anderson that looks like it fell right out of the film. All of the Wes Anderson titles are Criterion Collection highlights – if Godzilla is my favorite Criterion packaging, Moonrise Kingdom is a close second – but as one of my all-time favorite and most treasured movies, their release of The Darjeeling Limited has a special place in my heart. Give it a chance, and it may find one in yours as well. Criterion really hasn’t done much better by a director than they have by Akira Kurosawa, releasing nearly every film he ever made in one form or another, always with a tremendous amount of care and attention. It would be easy, in fact, to simply cheat and put ‘the collected works of Akira Kurosawa’ at #1, because choosing only one of the many great Kurosawa packages Criterion has assembled is a painfully difficult task. 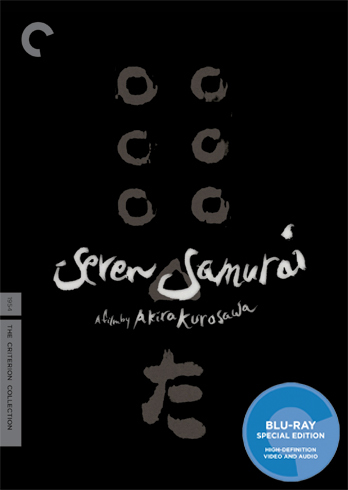 Yet if it must be done, the choice seems rather obvious, for in Seven Samurai, Criterion has put together a release that is wholly emblematic of both Akira Kurosawa’s extraordinary career and the value of the Criterion Collection as a whole. It is as exhaustive a release as the company has ever crafted, with a seemingly endless assortment of new and archival extras, each as vital as the last, and a thick accompanying booklet filled with valuable perspectives on the film (including an interview with Toshiro Mifune that is worth the price of admission alone). When you combine all of that with a truly wonderful restoration and presentation of the film itself – I have seen this version projected theatrically, and it holds up beautifully – Seven Samurai is deservingly among Criterion’s most iconic titles. It’s Spine #2, it’s the first Criterion edition I ever bought – something I imagine is true for a good number of people – and it is a perfect presentation of what is absolutely a contender for the title of ‘greatest film ever made’ (eat your heart out Citizen Kane). No home video collection, Criterion-heavy or no, should be without this edition of Seven Samurai. Yasujiro Ozu is, to my mind, the greatest director who ever walked this earth, and since I have the Criterion Collection to thank for preserving and introducing me to his wide body of work, I knew my #1 choice probably had to be one of their many Ozu releases, all of which – with the exception of the woefully outdated Good Morning release – are absolutely exceptional. 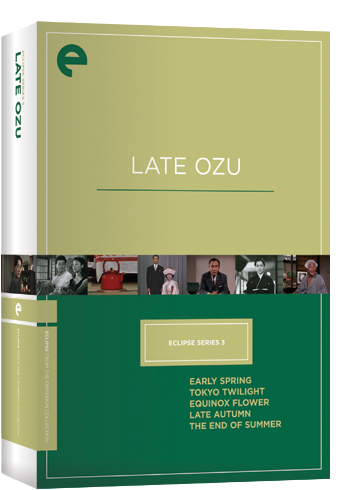 I could pick Late Spring, my favorite Ozu film, or Tokyo Story, another of the Collection’s most exhaustive and iconic packages. I could go with their recent Blu-ray upgrade of An Autumn Afternoon, which is the some of the best-looking color photography you’ll see on any home video release available around the world, and I would be absolutely happy picking older DVD favorites such as Early Summer or the wonderful Floating Weeds/A Tale of Floating Weeds double-feature. And yet, the more I thought about this list, the more I was drawn back to the three Eclipse box sets released for Ozu’s work – two collections of his early silent work (Three Family Dramas and Three Family Comedies), and Late Ozu, my ultimate #1 choice, a collection of five films made between 1956 and 1961, two of them in black-and-white (Early Spring and Tokyo Twilight) and three in color (Equinox Flower, Late Autumn, and The End of Summer). These are some of the master director’s very best – or at least, most interesting – works, the abject and uncharacteristic bleakness of Tokyo Twilight giving way to the colorful explosion of Equinox Flower, and to the last, arguably greatest phase of Ozu’s career. Watching these five films in order, one is told the story of an artist who kept evolving, right until the very end of his life, embracing color as wholeheartedly as he once embraced sound, and finding a new respect for the wisdom of youth in the shadow of old age. As great as these films are, each of them are probably too under-the-radar to ever get a bigger restoration and release, which is why they feel perfectly at home within the Eclipse line. All are presented in excellent quality (I’ve seen hi-def imports of Equinox Flower that don’t match up to the DVD included here) with perfect subtitles, in nice, simple presentations with informative one-page essays. This set is the gold standard of Criterion’s underappreciated Eclipse line, and a modest but powerful representation of what the Criterion Collection represents to World Cinema. There may be no on-disc extras, and it may be DVD only, but at the end of the day, Criterion is, to me, about easy access to great, important films, and in Late Ozu, we have an exemplar of that philosophy, and one of my most treasured items in the entire collection. This is a section of List Service where I intend to self-analyze the countdown I created, looking for interesting trends, omissions, or other points of interest. It seems like a fun new way to wrap things up. Despite their prevalence with the Criterion Collection, I didn’t include any major box sets (unless you count Eclipse boxes). That wasn’t by design, as there are many I love – Three Colors, The Apu Trilogy, by Brakhage, The Qatsi Trilogy, etc. – but for whatever reason, the nine individual films and one Eclipse set I picked just speak more strongly to me (though if I broke my one-release-per-director policy, Three Colors would absolutely be in my Top 10). Some stats: Three films on my list are from 1954 (Godzilla, Seven Samurai, and Sansho the Bailiff), and three of the Ozu films are from the same decade. The fifties were truly a golden era for Japanese cinema. Speaking of which, the most represented country on my list is Japan, with 4 releases, which isn’t surprising given my interests and background. Then we have 3 from the United States, 1 from France/Poland, 1 from Britain, and 1 from Hong Kong. 5 countries overall for me – though Criterion as a whole represents many, many more. For reference, other titles I considered, from the same and different directors, include City Lights, The Kid, Three Colors Trilogy, Rashomon, Throne of Blood, Yojimbo/Sanjuro, Late Spring, Tokyo Story, Floating Weeds, Fantastic Mr. Fox, Moonrise Kingdom, Chungking Express, by Brakhage, The Battle of Algiers, Hara-kiri, The Red Shoes, and The Apu Trilogy. Contact author Jonathan Lack on Twitter @JonathanLack.